The passing of a beloved friend, family member or pet is never easy. 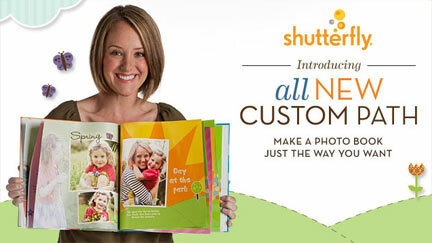 However, you can celebrate a life well-lived with a beautifully printed photo book. Shutterfly makes it easier than ever to turn your favorite photos of a loved one into an elegant memento—the perfect way to say goodbye. Whether you are scanning old photographs or compiling all of your digital images, chances are going though all of the photos is sure to stir up some memories. To create your memorial book, simply upload all of your favorite pictures and insert them into the template of your choosing. You can use the design assistant to select complementary elements and insert text and the stories that are closest to your heart. 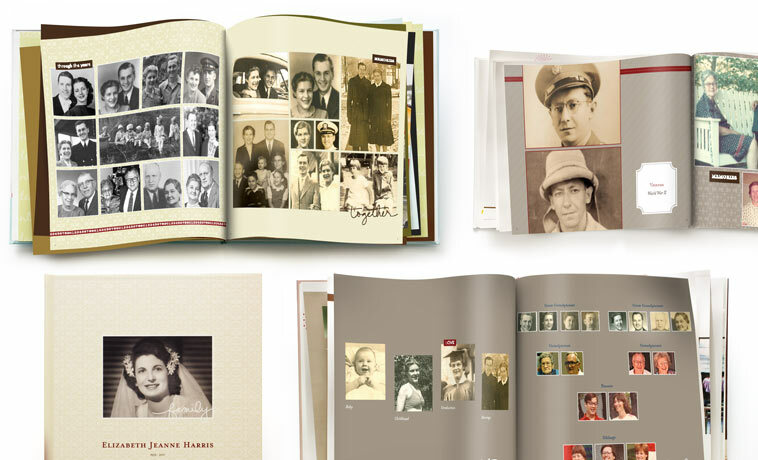 Shutterfly knows that grief is stressful, but creating a beautiful book shouldn’t be. You can print one copy for the memorial service or have multiple copies printed to share with the people who shared your love for the person who passed away. Just because someone is gone doesn’t mean they need to be forgotten. Take your favorite photo memory of your lost family member or furry friend and turn it into a custom photo mug you can use every day. For some of us, writing letters to those who have passed can really help keep their memory alive. A custom journal can be a thoughtful, personal gift for you or someone who may be grieving. Are you worried that some people are out of the loop? You can let them know what is going on with personal stationery. Your loved one might be gone, but their memory can live on in so many ways. We are never really ready to lose someone, whether we see it coming or it happens unexpectedly. A photo book will help you celebrate a life lived to the fullest. 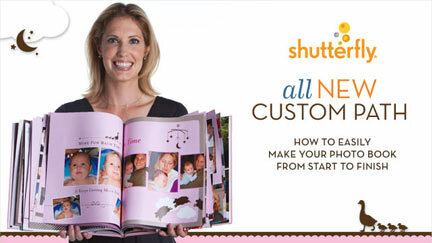 Shutterfly is here for all the big stuff, from birth announcements and birthday parties to weddings, and even at the end. Showcase your favorite moments with beautifully printed products and share your memories of a life well-lived.